Its always great to get the first fish of a new year under the belt. Ive had a few sessions in January but generally the conditions havnt played ball and i successfully blanked, but during one of these sessions in some dirty water i had a proper good hit on the soft plastic, but failed in a hook up. 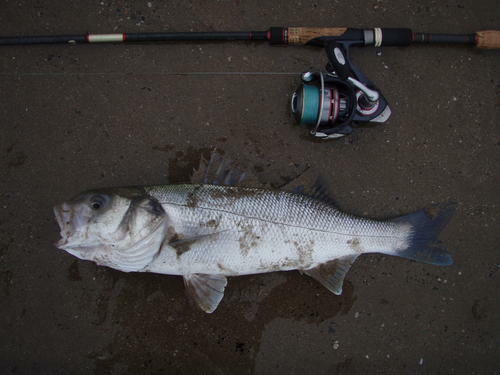 So with this glimmer of hope i returned to the same mark, conditions were far better with a better water clarity in the 10 degrees sea, giving myself some extra time as the tide slipped out i set about casting upstream with the tt shad mounted on a iwashi jighead, letting it sink slightly then retreived nice n slow. It wasnt long before i had a good hit and was playing the first silver of the year, result !, not a big fish but more than welcome in the cold conditions. in the next half of an hour i had a further three fish, the best going 54cm, the fish were obviously hold up in a pool hitting what they could on the outgoing tide. 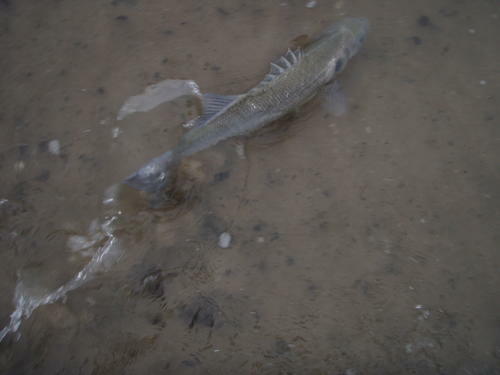 I fished on without any further sucsess, my leaking waders letting me know it was time to get home and get warm. Previous PostWinter SilverNext PostAt Last..